Looking for puppy names by personality? Trying to find that one perfect name for your new puppy can be a hard task. You want to find puppy names by personality, which is a good choice. The fact that you have specified your choices a little bit is a good thing. This will help you to narrow down your options and make it easier for yourself. What will also help to make is easier for yourself is to use our dog name generator. This generator can show you a list of names based on your personal preferences. All you have to do is select the themes, types, nationalities or syllables you like and the generator knows what to do! For example select ‘female’ and ‘French’ and the generator shows you all the French female puppy names from our database. Tinki’s database contains over 40.000 dog names so there will definitely be a beautiful one for your dog in there. Play around with all the filters in the generator for a bit. Check out all the different categories we have and get inspired! Eventually you will have to choose one name. Please remember that it is completely fine to take your time. 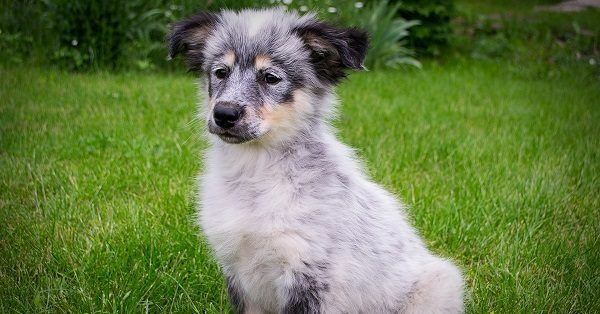 Of course the ideal situation is to know the name before your puppy comes home with you but it is not a disaster if you have not found the perfect name at your puppy’s arrival yet. Maybe you have a list of options and just cannot decide. In that case, practice out loud! Especially if you do have your puppy at home already and still have a few options left. By calling them out loud and looking at your gorgeous new puppy at the same time you will soon feel which name is best. Besides that you can take all the tips from above in mind and we are sure that you will soon be left with one perfect name. Trust your own instinct, follow you heart and it will all be fine. Remember that your puppy will wear the name proudly no matter what and that is all that matters. It is estimated that there are around 1 billion dogs living on earth. Of course there are many dogs we can’t really count, like stray dogs. Sadly there are a lot of stray dogs in the world but thankfully there also dogs that live with a family. Hopefully all these dogs are kept in loving families and have a beautiful name given by said family. Many people want a lovely name that suits their dog perfectly, which is very understandable. Puppy names by personality are often a priority and that is good. It is much more fun to call your dog a name that feels good and suits him than something that does not seem to match. Around the world there are many different kinds of breeds, which all have different names that suit them. This is something you can take into consideration when naming your dog. We will tell you a few examples of famous dogs across the world to help you get inspired! It would of course be lovely to name your Akita dog Hachiko! Mishka is an internet-famous Husky dog. Mishka’s owner posted videos which became a hit instantly. This is because Mishka is able to talk! Or at least able to make sounds that really do sound like she is speaking the english language. She can say things like ‘I love you’ and ‘I’m hungry’. Of course this beautiful Collie cannot be missed from this list. Lassie is a movie character from the movie Lassie. In this movie Lassie goes on a miles long journey to reunite with her family. 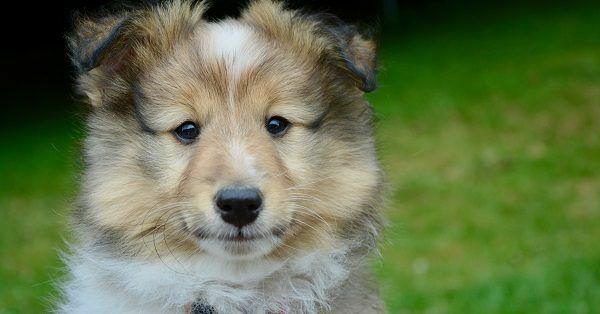 Who would not want to name their Collie Lassie? Presidential dogs! Sunny and Bo are two Portuguese Water dogs, owned by the Obama family. Are you about to welcome a Portuguese Water dog into your home? Maybe you have just found the perfect name! Over the years, dog names have changed. When humankind first started keeping dogs as pets, it was not very common to give the dog a name. After all, most animals were not given a name. Since dogs, and other pets, have become friends more than ‘working’ animals their names have changed. In the beginning a dog was simply called ‘dog’ but now there are so many things you can choose from. Years ago it was also common to give your new dog the same name as the one you had before, to keep it simple. This is seen a lot less now. What we do still see is that dogs with a pedigree often carry a pedigree name, or that it is required to give a puppy from a pedigree dog a name starting with a certain letter. Whatever you choose, do or decide, make sure you love the name 100%. You are the one that has to call the name for the rest of your puppy’s life so make sure you are happy to do so. Whether you choose a puppy name by personality, a special dog name starting with a certain letter or a name based on your puppy’s breed, it will not mean as much to your puppy as it does to you. Of course you want your dog to like the name but to dogs their name simply means attention. Dogs are smart enough to realize that after they hear their name, another command will usually follow. If you are about to get a puppy you might also realize that the first command you want to teach your puppy is that lovely name you chose for him. Because who needs to ‘sit’, ‘lie down’ or ‘stay’? Yes, your puppy! Teaching your puppy his name is very important and it can be taught very easily. Our online puppy training contains a complete step-by-step guide on teaching a puppy his name and elaborates on the subject and its importance as well. When it comes to the name itself, there are a few things that really do make a difference. Of course, any name you choose will be lovely but some factors can help with making it easier for yourself and your dog. For example the length of the name. The longer the name of a dog, the harder it will be for both you and your puppy. You have to be able to call the name clearly in any possible situation and your dog has to be able to understand you at all times. If you choose a name that is longer than 2 syllables and very complex to pronounce, you will not make it easy. You might be able to pronounce Bartholomeus perfectly but trust us, when you need to call that name in an alarming situation and have to react fast, you will shorten it. After all, Bart is much easier to shout or call loudly. In that case, it is better to call your puppy Bart from the start than switching between the two names constantly and unnecessarily confusing your young puppy. Stick to a short, clear name from the start. Just like you would use any other command! After all, to your dog his name is just like a command. Some researches even show that certain letters are best to use, or certain sounds. For example the ‘s’ is said to be heard more intensely by dogs compared to us humans. So a dog name starting with S is a very good choice!